LEDVision Pty (Ltd) offers clients a turnkey daylight screen rental service coupled with the largest product stockholding of LED Video technology in southern Africa. Light Emitting Diode (LED) technology ensures unsurpassed picture brightness and clarity across a variety of weather and light level conditions. Low power consumption, high intensity and exceptional image clarity makes LED the ideal choice for a variety of indoor and outdoor events such as sporting events, corporate communications, product launches, government events and television game shows amongst others. LEDVision is operating in Gauteng, Western Cape and Kwa Zulu Natal, making LED screen rental accessible and affordable countrywide. Combined European and South African technical expertise ensures that our full service offering is professional and reliable. LEDVision is backed by one of the largest companies in the technical services field, namely Gearhouse South Africa. 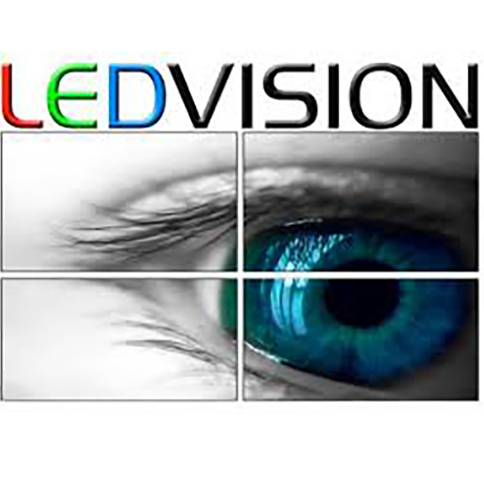 LEDVision offers an additional service to clients by incorporating advertising revenue as an add on service. This service brings an opportunity to clients who do not have the budget to pay for LED Screens for events by: 1) Seeking out potential sponsors. 2) Selling ad packages 3) Displaying adverts before, after, and between acts. Depending on the event and demographics this can offer an opportunity to offset part and in some cases all screen costs for the event. Modular video panel systems can be assembled into customisable large-scale screens to suit a variety of applications.